As I finish this column, I have just packed the car for vacation in the woods of Maine. We pack way too much for two weeks, and while stuffing board games and bike helmets into the far reaches of the trunk, I felt some twinges in my mid-back. It hurts now, more than I’d like to admit, and I have a long car ride ahead. 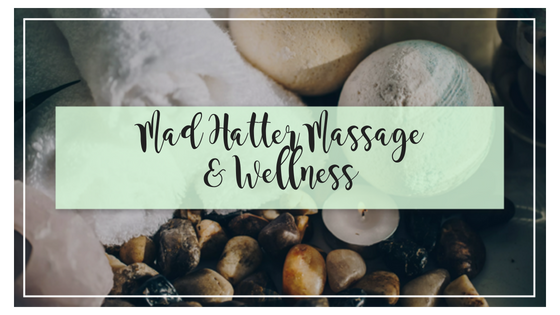 Mentally I am planning my self-care over the next few days — it includes car breaks, walks, baths, warm packs, and visits to a massage therapist I know on the coast of Maine. I will see her without obtaining a medical diagnosis of the problem. I will try her first, and presumably, like all my other back aches and pains, I will get some relief over the next few days. Presumably I do not have bone cancer. Let that statement sit for a moment, because I am about to wade into the woods of a scientific paper about whether massage therapy could spread bone cancer in unwitting people who seek massage before they seek medical treatment. In May 2014, an article published in the Public Library of Science (PLoS ONE), “Manipulation Therapy Prior to Diagnosis Induced Primary Osteosarcoma Metastasis — From Clinical to Basic Research” by J. Wang, et al., raised concern that mechanical manipulation could spread cancer from its primary site — the bone — to other areas of the body. I bring up Wang’s article now for two reasons, first — in oncology massage therapy (OMT), we face the persistent concern that massage therapy could spread cancer. For decades, this fear put up major obstacles between therapists and clients in need of our care, and Wang’s article echoes this concern. As such, I want to treat this topic seriously and will revisit it from time-to-time. Second, this article was recently cited to support the notion that oncology massage therapists were practicing unsafely, by not following certain restrictions during the window between diagnosis and treatment. In J.M. Cullers and R. Turchaninov’s “Science of Oncology Massage, Part I, Massage Therapy in Cases of a Newly Diagnosed Cancer,” the authors exhort therapists and OMT instructors to change their instruction and practice in light of their concern. This, too, I want to treat seriously. However, for now I will focus on the concerns raised in Wang’s earlier study of bone cancer patients. The Taiwan-based group begins by giving us their reasons for alarm, which are the number of patients who have sought Tuina or other mechanical therapies prior to their bone cancer diagnosis. The way I read it, they had seen people use manipulation therapies as a go-to for musculoskeletal symptoms that later diagnosed as bone cancer. However, the timing of manipulation therapies (MT) in those patients is not explicitly reported in the paper, and this is a really important omission. They do not specify whether it took place years, weeks, or days before diagnosis. Millions of people have been diagnosed with cancer. Many are already massage consumers. Millions of people present with musculoskeletal pain. It can be difficult to tell when mild symptoms will become serious. How about a woman whose back hurts after packing the car for vacation? What if, weeks and a nightmare later, she lands in her doctor’s office with worsening symptoms and comes out with a bone cancer diagnosis? What if she shouldn’t have received that massage? Symptoms of bone involvement are serious and much stronger than the twinge and ache I now have, but a serious diagnosis often begins with mild symptoms. Therein lies the slippery slope posed by this research. How does 20-20 hindsight inform our next massage therapy decision? How do MTs consider the possibility of cancer as the underlying cause of symptoms? When do we proceed with a massage, how do we proceed, and when do we refer? When are we being too careful, so much so that we do not have any clients left? These are questions for the field of massage therapy as a whole. We have to answer them with strong assessment skills, good interviewing, and good referrals. We need to strengthen the skills of all massage therapists to this end. For example, we should be teaching in massage school that bone involvement often presents as nocturnal pain, so one question to ask is “Does it hurt at night? Or worse at night?” A “Yes” answer is a red flag. It should trigger a medical referral, and dampen the bravado of going in to “fix it” with any direct pressure or joint movement. The Wang study is an unusual and important contribution to discussion. I suggest you read the whole article. Here, I will focus solely on their reporting and the messages they have for therapy, not a critique of their research methods. They looked at manipulation therapy (MT) and osteosarcoma in two populations: human and mouse. Osteosarcoma is a primary cancer of bone that is most prevalent in children and younger adults. It notably is not common in middle-aged females packing up cars. Osteosarcoma or true “bone cancer” should not be confused with bone metastasis, which describes the spread of cancer from another site such as breast, prostate, or colon to the bone. This scenario is much more common in middle-aged and older adults, and pain and easy injury are presenting problems. Both osteosarcoma and bone metastases are hard, painful conditions. They pose serious concerns for all massage therapists, not just oncology massage therapists. But back to the study. Wang looked at the spread of cancer from its first manifestation — in the bone — to other organs. They looked at both human and animal data. In their human study, the authors appear to have analyzed the medical records of 200 patients with osteosarcoma. About half had received some form of manipulation therapy prior to diagnosis; the authors report that they received Tuina, massage, and “other complimentary [sic] therapies.” They do not report specific body areas, pressures used, or joints moved. At first glance, this seems problematic for oncology massage therapy. But bear with me. Then, investigators performed massage on mice in which a tibia had been injected with human osteosarcoma cells. They grouped them into a massage group and a control group. The massage group of mice were massaged directly at the injection site two times a week. The controls received no massage. Mice who had received massage on the injection/tumor site showed decreased body weight, increased tumor volume, and apparent increases in lung and lymph node involvement compared to those who had not received massage. From this human and animal study, the authors conclude that manipulative therapy can worsen the prognosis in primary osteosarcoma. For massage therapy as a whole, these are chilling words. They hearken back to the “massage is contraindicated for cancer” lore of the past. Stay out of the woods entirely. Moreover, they introduce the slippery slope possibility that any and all clients are off limits, including the one with a seemingly innocent injury after packing the car. The issues are slightly different for oncology massage therapy, and more narrow. We are already working with people with diagnosed cancer or cancer histories. Should we be worrying about the findings of Wang? Does it support our work, or detract from it? Do we need better skills to navigate these particular woods? Ask two questions of this study. Then look at how OMT handles the concerns raised. Did the humans in the study receive manipulation therapy directly on the site of osteosarcoma symptoms, or in the region? Were they asked in detail about their symptoms? From the reporting, it is unclear. Regardless, in oncology massage therapy, we do not press on or manipulate the joints at known tumor sites. We take this concern even further to include suspected or uncertain sites. For example, in a client previously diagnosed with cancer, even if it was months or years ago, we recognize the possibility of cancer recurrence or spread, especially in bones. For this reason, we do not automatically “move in” and treat a site of new or worsening pain or neurologic symptoms. We consider it — at least in our own minds — a “suspected” site, and until cancer is ruled out at that site, we withhold pressure and joint movement that would disturb the site. Instead, we refer the client to their physician. This referral is especially emergent if neurologic symptoms are present such as sensation changes or motor impairment. For this reason, we teach and use good referral skills. In OMT, we have clients with the benefit of ongoing patient monitoring and enhanced awareness of what new symptoms could mean. In the Wang study, what was the exact nature of the manipulation therapy provided to the humans? Which techniques were used by their practitioners in the general problem area, and importantly, which pressures and joint movements were involved? In other words, what happened in that treatment room? Again, the authors do not report this information. Without it, it is difficult to establish whether outcomes are truly affected by ill-timed or ill-applied massage techniques. The cautious work of oncology massage therapy includes carefully taking tumor sites into account. We adapt pressure, joint movement, and areas worked to each unique presentation. In OMT, we are always cognizant of our pressure levels. With standard Swedish strokes such as effleurage, petrissage, and even stationary compression, we tend to use gentler pressure levels described by Gayle MacDonald as light or heavy “lotioning.” I use the same terms in a pressure scale I teach from, and photos of these pressures are available here. We are especially cognizant of symptoms that could signal the worsening or spread of cancer. We want the oncologist to rule out cancer as a cause, before we go pressing on symptomatic areas. Whether bone is a primary site, as in osteosarcoma, or it is a secondary site, as in breast cancer that has spread to the bone, we don’t want to disturb it. In general, malignancies can be highly vascular, they can bleed more easily, impinge on nerves and vessels, and cause pain and other symptoms. We would not press on a site of malignancy as in the authors’ animal study. For someone with a recent cancer diagnosis, in treatment, or recently post-treatment, we would not work in the area using techniques resembling this video of Tuina. Moreover, if increasing circulation is a concern, OMT does not typically approach the level of pressure that is thought and taught to be “circulatory” in classical massage therapy. Neither do we employ, with our lighter strokes, the highly choreographed approaches of lymphatic techniques near a tumor site. These precautions are in force during the throes of diagnosis, before treatment is started, and during treatment. Post-treatment, sessions continue to be customized to the individual client’s presentation. The possibility of recurrence and attention to new symptoms are always on our minds. If the Wang study and the Cullers/Turchaninov study are highlighting a true problem, I suggest this problem is within massage therapy as a whole, not within the ultra-cautious, hyper-aware oncology massage therapy. Because OMT focuses on clients who are already diagnosed, or with a history, we have real-time updates about the client’s status. We continually ask about diagnostics and monitoring, cancer treatments, responses to treatment, and new symptoms. In general, our discourse in massage therapy suffers when we are vague about the details. As laudable as the researchers’ attempts may be, too many important details are missing for it to guide oncology massage therapy any further into the woods than it has already guided itself. With vague allusions to “massage,” discussions in massage therapy often come up short. 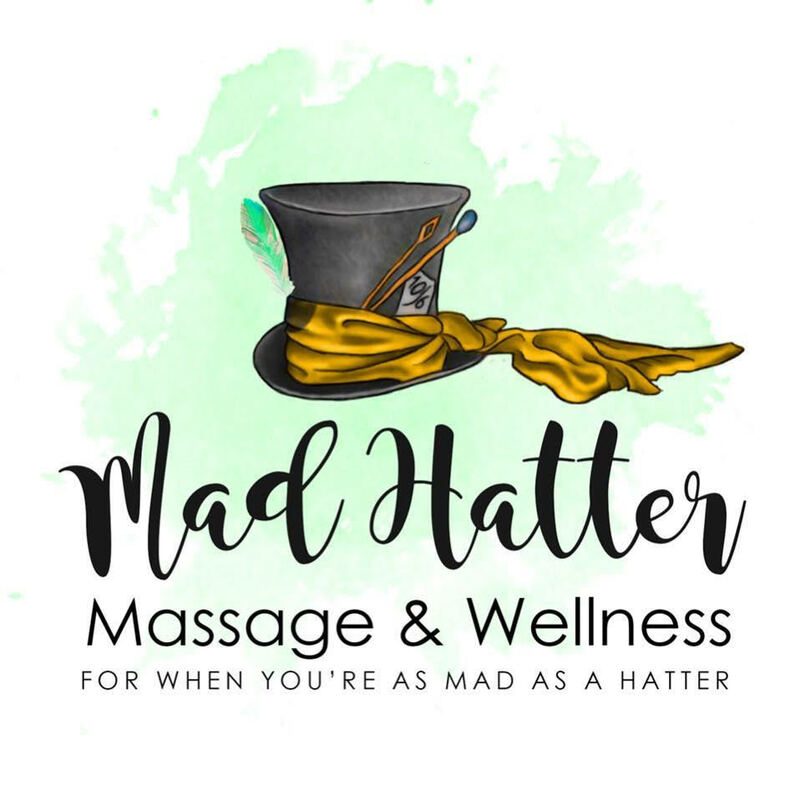 When we group all massage therapy together, when we try to contraindicate an entire modality or the work of an entire profession, we get muddy and even ridiculous. Whole modalities are not typically contraindicated in a condition. Cancer as a diagnosis does not come with blanket contraindications. Instead, knowing the possible benefits of OMT, we follow precautions based on a client’s presentation of cancer. So the authors make interesting points, but they do not add up to a change in OMT practice. We can all afford to improve our skills, but from this paper, we can take reinforcement for the standards of practice already in place in oncology massage therapy (www.s4om.org). In the deep, mysterious woods, where a new symptom could mean this or that thing, the best approach is cautious hands-on work, plus interviewing and referral. These skills light the way to safe, effective help for people with cancer and cancer histories. Wang J, et al. “Manipulation Therapy Prior to Diagnosis Induced Primary Osteosarcoma Metastasis — From Clinical to Basic Research.” PLoS ONE, May 2014. Cullers JM, et al. “Science of Oncology Massage, Part 1.” Science of Massage Institute, 2017.